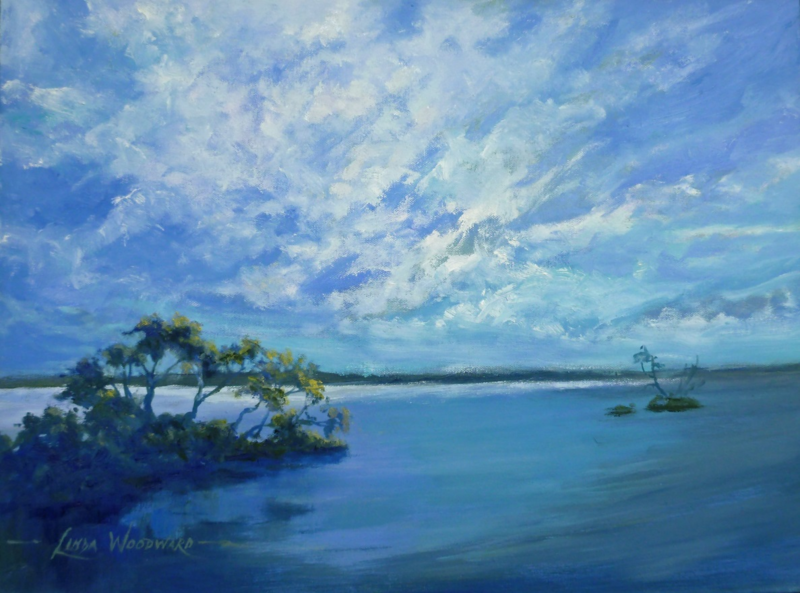 This exhibition displays a selection from Linda's earliest works to the present, highlighting several paintings done specially of the Redlands and Moreton Bay area. An interesting component of Linda's exhibition is her collaboration with Joan Bevan, Author of the Play & Say sight reading method which helps young piano students to improve their peripheral reading skills. Joan become aware of how hugely talented Linda is as both and artist and Lyricist. The supplementary repertoire they produced as a result of this union has proved to be priceless and was the catalyst and main ingredient for the success of the program. Linda's love and respect for our wonderfully complex, musical and picturesque language is contagious. She wanted the lyrics to be "magical and imaginative" but also educational and to express appreciation for our magnificent Australian environments and heritage. Many examples of her Australian Verse for Little People are displayed in the exhibition.